Over the last few decades, there has been a steady rise in global businesses and international trade along with diaspora contributing to an increase in intricate cross-border payments. Cross-border payments account for about 40% of global payments transactional revenues with payment flows of more than $135 trillion during 2016 (as per McKinsey). However, the current protocol suffers certain shortcomings, such as non-fixation of exchange rate until the arrival of funds. Further, the involvement of multiple financial institutions creates a complex web of procedures resulting in delays and inaccuracy in addition to accompanying fees and charges at each stage of the transaction. To overcome the current structural weaknesses, financial institutions and banks are adopting blockchain to offer near-instant cross-border payments at lower costs, higher security and more reliability. With blockchain, payments are tamper-proof and accurate, thereby trimming costs associated with the investigation of cases and litigation. Telecommunications can be considered a synonym for international payments. To test and validate the PoC’s blockchain application, 22 additional banks joined the initiative in July 2017. Speed: According to proprietary McKinsey research and analysis (2015) on cross-border payments, the average time to complete a cross-border transaction is three to five business days, which includes the final mile transfer via a domestic payment network, such as Automated Clearing House. Cost: Fees accumulate at each step in the process, including transfers from the sender’s bank to the national correspondent bank, from one correspondent bank to another, and foreign exchange fees. Fees for cross-border payments where volumes are high usually average 2% to 3% but can exceed 10% where payment volumes and values are low. And it’s not always clear when costs will also be charged to a recipient. Opacity: It’s usually difficult for senders and receivers to track their payments while the funds are in transit, creating uncertainty about both delivery timing and the final payment amount. It can be especially difficult to quickly trace transactions when problems arise, such as incorrect account numbers. Despite the often-heavy burden these disadvantages place on users, most high-value payments are still made via the correspondent banking network. This is largely due to familiarity, security, and the ability to transfer larger sums than alternative channels currently accept. Another factor is the more consistent and thorough know-your-customer compliance checks that incumbent banks provide. Several initiatives are underway to alleviate the pain points of cross-border payments in traditional correspondent banking. For example, SWIFT is testing programs under its Global Payments Innovation (GPI) initiative that attempt to reduce cost and improve speed by requiring banks to follow strict business rules that facilitate straight-through processing. The program promises same-day use of funds, more up-front fee transparency, cloud-based end-to-end tracking and visibility, and richer payments information. In September 2016, SWIFT announced that almost 90 banks around the globe that, combined, process 75% of the cross-border payments on its network, were participating in the program. SWIFT expects to fully roll out the program in 2017. Similarly, national efforts are underway to migrate to faster payments technologies. Some aim to enable national real-time clearing and settlement. Examples include The Clearing House’s real-time efforts and the U.S. Federal Reserve’s Faster Payments Task Force. Internationally, such programs are now live in more than 30 countries that, combined, account for almost half of all global credit transfers. As the move toward faster payment technologies gains momentum, the desire for systems interoperability and integration to enable real-time cross-border payments will grow. This will, however, require increased complexity and collaboration to handle foreign exchange functions. Inertia and strong reliance on existing network effects have long characterized the payments industry. However, for several reasons, we believe new operating models will present challenges for the cross-border segment. Expectations: As instantaneous, consumer, peer-to-peer payments solutions such as MobilePay, Venmo, and Xoom continue to spread, businesses increasingly will seek to replicate that convenience, speed, and simplicity in the commercial world. Innovation: The development of new payment technologies has been accelerating. This trend reflects the strong potential for revenue and profit gains, as well as the increasing adoption of mobile digital solutions for everyday tasks, including payments. The emergence of bitcoin and other cryptocurrencies introduced blockchain technology to a wider audience, increasing the potential for a fundamental change in systems architecture throughout the financial services industry. Compliance: While users are pressing banks to keep pace with change, regulators are demanding more in equal measure. This dual pressure is causing banks to review their expansive correspondent banking relations as they seek new ways to reduce costs. Increasingly, they are seeking more efficient network participation while tightening their standards to minimize errors and manual interventions. To successfully confront these forces for change, the payments industry must face the likelihood that traditional methods of sending and receiving cross-border payments will irrevocably change during the next few years. This will result in payments being implemented at entirely new levels of speed, cost, convenience, and transparency. Given that today’s international correspondent banking ecosystem is effectively a decentralized global network, it’s unsurprising that innovation tends to arise from analogous decentralized network solutions. 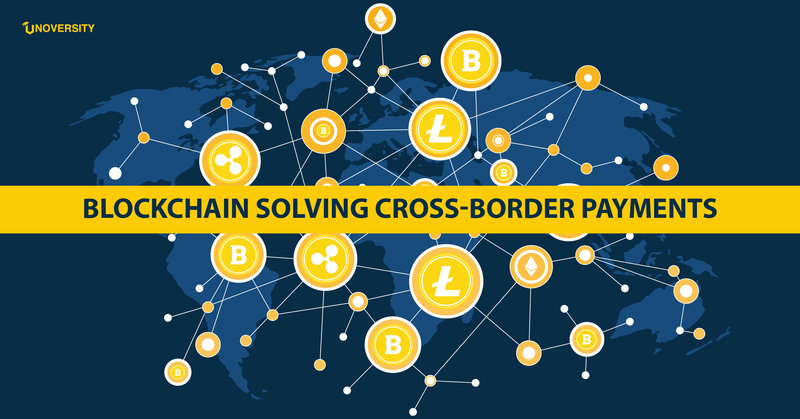 Notably, there has been a significant recent discussion about the potential of using blockchain technology as the backbone of a new cross-border payments messaging system. While blockchain transfers don’t physically move digital assets, they do irrevocably record changes in asset ownership. And depending on the nature of the asset, some local exchanges are willing to provide real-time liquidity in local currency in return for ownership of the respective assets. Ideally, blockchain technology can be used to manage digital money. In addition to the ongoing discussion about the potential of bitcoin, other models involving purely digital forms of commercial and central-bank money are being advanced. Money-transfer APIs: These are mobile peer-to-peer applications that either use a payments directory to map participants’ mobile IDs to conventional demand deposit bank account routing information, or require users to manually link their accounts using bank APIs and the domestic payments network. In terms of implementation, this solution is the most advanced. However, with a few exceptions, such as MobilePay in Scandinavia, it has limited cross-border utility. Cryptocurrency solutions: These are closed-loop solutions that use digital global currency tokens, are registered on a distributed ledger, are protected by the latest encryption methods, and rely on a sound funds model for effective push-only payments. Such solutions depend entirely on networks of independent brokers or banks to exchange crypto tokens into local fiat currencies. Alternatively, end users must adopt and accept the digital tokens as currency. Current designs typically have no recourse provision beyond initiating a matching transaction in reverse. Central-bank digital currency: In this model, central-bank-denominated digital notes are held and exchanged (effectively, reattributed to new owners) in real time on a central ledger (digital cash as good funds). In this model, the central bank becomes an effective administrator of deposit accounts. To be accepted as legal tender, this type of solution requires new monetary policy. However, it also offers the promise of a central database to enhance the end users’ experience (for instance, by providing accounting and purchase data) or coordinated industry services, including taxation and fraud detection. The foregoing models differ significantly from each other in both their structure and how they could disrupt payments generally, and cross-border payments more specifically. The details are more telling. MONEY TRANSFER APIs: The global spread of digital banking is enabling money transfer operators (MTOs) to move their services online and thereby provide more seamless, rapid, and affordable alternatives for remittance payments. Users naturally are finding these more appealing than traditional cash-based models. Venmo, Xoom, TransferWise, and other players have already increased their market shares substantially, and are expected to grow nearly 10 times faster than traditional retail MTOs from now until 2020. Digital MTOs still use prefunded nostro accounts (accounts held in a foreign currency at another bank) in destination countries. And they can incur substantial short-term risk when relying on conventional domestic payment rails to source and deliver customer funds. Because digital MTOs can offer immediate (or next-day) funds availability, they generally must establish sufficiently large credit lines locally to honor the daily fluctuations in transaction volume demand. This presents unique difficulties when honoring commercial cross-border payments, which tend to be much larger. 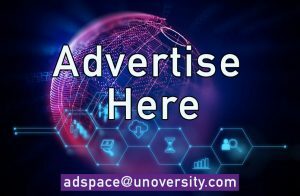 This, however, has not stopped traditional MTOs such as Western Union and MoneyGram from expanding their focus from consumer to more business-centric payments, with platforms such as WU.com. CRYPTOCURRENCY SOLUTIONS: Since its launch in 2009, bitcoin has often captured headlines for the wrong reasons. Variously associated with criminal activity, theft, and a libertarian movement that focuses on disintermediating banks, it has generally been deemed inappropriate for mainstream financial services. Nonetheless, the average dollar-equivalent value of daily bitcoin transactions has risen steadily to $160 million in recent months, equivalent to 25% of global consumer-to-consumer remittance flows processed by MTOs (and larger than the daily volume processed by digital-only MTOs). Meanwhile, several technology startups have received substantial venture capital backing to launch pilot programs that offer cross-border payment services based on bitcoin transfers. Align Commerce is a good example. It has leveraged the liquidity of bitcoin to local currency exchanges in strategic cross-border corridors to offer real-time, transparent, and low-cost cross-border payments to small and midsize enterprises. Its platform provides a unique visual dashboard that enables counterparties to track the progress of payment transfers with up-to-the-minute accuracy and implicit payment guarantees. Abra has followed the mobile “uberization” trend by offering peer-to-peer, real-time, cross-border payments via roving mobile tellers who can accept cash payments in exchange for instant-payment bitcoin transfers to any recipient with online or mobile access. And funds can be withdrawn from a similar mobile teller in the destination country such as a teller agent in the active corridor between the U.S. and the Philippines. Less user-friendly applications require users to actually purchase bitcoin from a public exchange before initiating a transfer. These purchases incur a cost (established providers in the U.S., such as Coinbase, Circle, and itBit, typically charge a 1% transaction fee). And moving from an originating currency to bitcoin and then back to the destination currency is subject to market bitcoin foreign exchange rates. Combined, these fees can amount to 2% to 3% of the principal, close to the costs of digital MTOs and the lowest-priced correspondent banking corridors. It is widely believed that over 90% of bitcoin’s daily transaction volume is generated by speculators, rather than by buyers of traditional goods and services. (The average value of daily exchange-traded volume is close to $30 million). However, the substantial volumes and endurance of bitcoin are prompting some to look more closely at its underlying technology and to explore how it might be used to more rapidly and securely execute and track transfers of value while creating an immutable audit trail. One example that employs such a modified form of distributed ledger technology is Ripple. Using its open source distributed technology protocol, in-network banks can initiate payments in Ripple crypto tokens and have them routed via the most efficient foreign exchange pathway. Payments can then be settled by in-network receiving banks. Ripple’s protocol is currency-agnostic and confirms transactions within seconds. Several large financial intuitions are already using this technology, including 15 of the top 50 global banks. Participating banks are part of a growing network of innovative financial institutions currently experimenting with blockchain technology. However, not everyone has been quick to welcome this technology. Governments in several countries – most notably China, Russia, and Iceland – are taking more defensive positions by passing legislation that effectively makes banks’ use of cryptocurrencies illegal. Moreover, using the technology across multiple jurisdictions makes it difficult to provide robust user guarantees, and even more difficult decisions about whom to prosecute in the event of failures. Cost-efficient, faster and secure cross-border payments system will boost international business while ensuring that migrants aren’t charged exorbitant rates for sending money home and more people are included in the present financial system. The blockchain technology can make it all a reality.